Welcome to the 158 Squadron Association website. 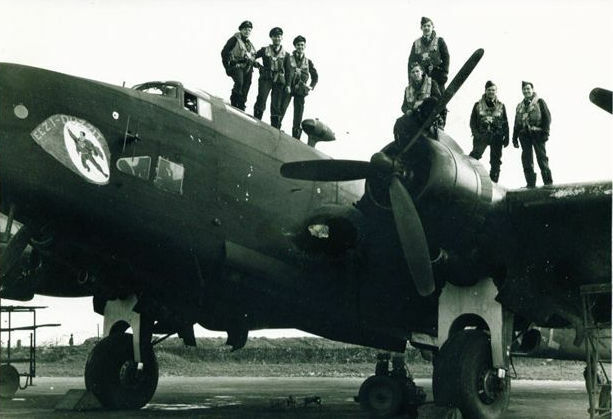 This site is dedicated to the brave men and women – aircrew and ground staff, who together formed the 158 Squadron during World War II. For as much as we owe them, this site attempts to acknowledge their names and remember them. Within the pages of this site it is hoped to recognise the courage and sacrifice made by the young men who flew with the Squadron. Additionally, never forgetting those men and women, who although not fliers, also made a major contribution to the war effort and in some cases made the supreme sacrifice. * © Copyright 2019, 158 Squadron Association and fearofmice.